Traditionally XenServer Pool requires a shared storage to guarantee data safety, allow virtual machines migration, enable continuous application availability and eliminate any single point of failure within an IT environment. 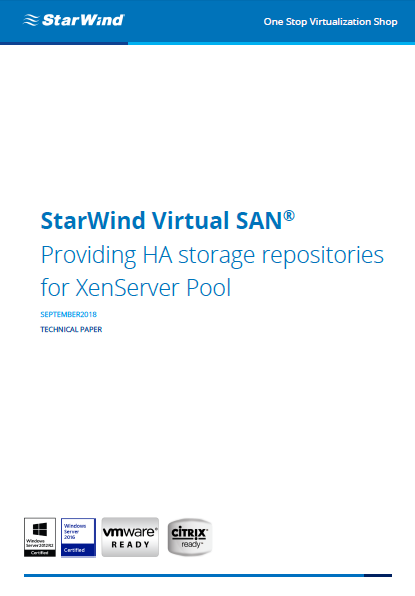 This technical paper is intended for experienced XenServer and Windows system administrators and IT professionals who would like to add StarWind shared storage to XenServer. 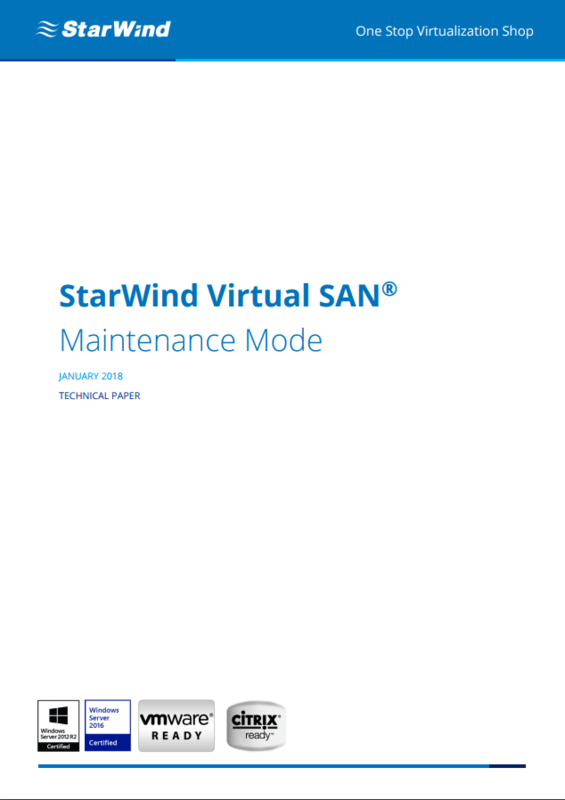 This technical paper provides a step-by-step guidance for configuring Maintenance mode for Highly Available devices using StarWind Management Console. StarWind Virtual Tape Library (VTL) is a backup storage solution that eliminates the need for physical tapes by emulating industry-standard tape hardware and keeping all data on the disks. It is designed for companies that either look to get rid of physical tapes completely or are willing to accelerate the backup process and add an extra level of data protection. StarWind VTL moves backup sets to local storage, thereby making them available offsite and provides your company with a resilient disaster recovery strategy. 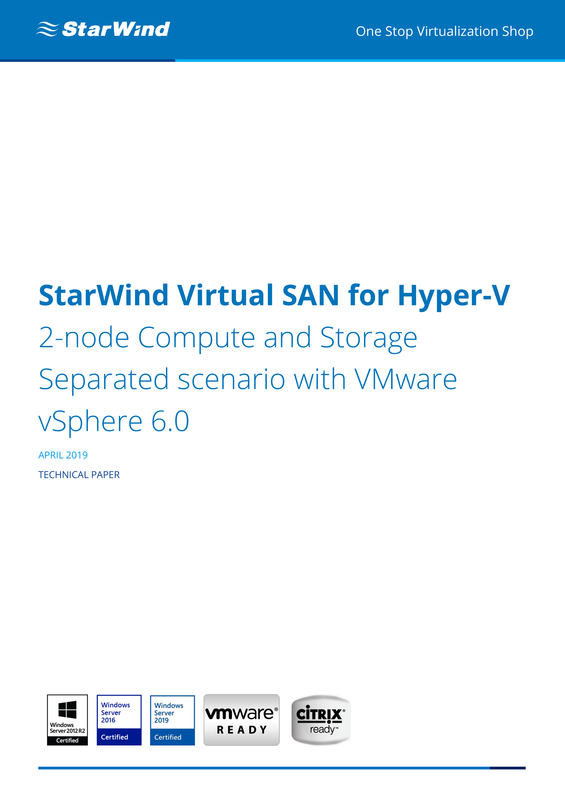 Find out from this guide how to deploy and configure StarWind VTL using local storage. 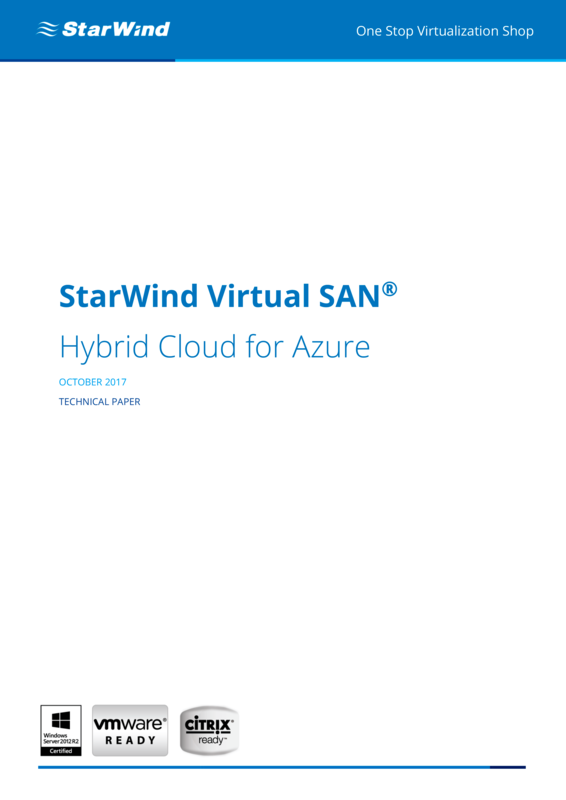 This technical paper describes how to configure StarWind Hybrid Cloud, a solution that allows extending on-premises workloads to Azure public cloud. The paper covers the entire path of the solution configuration and its further integration into the production environment. 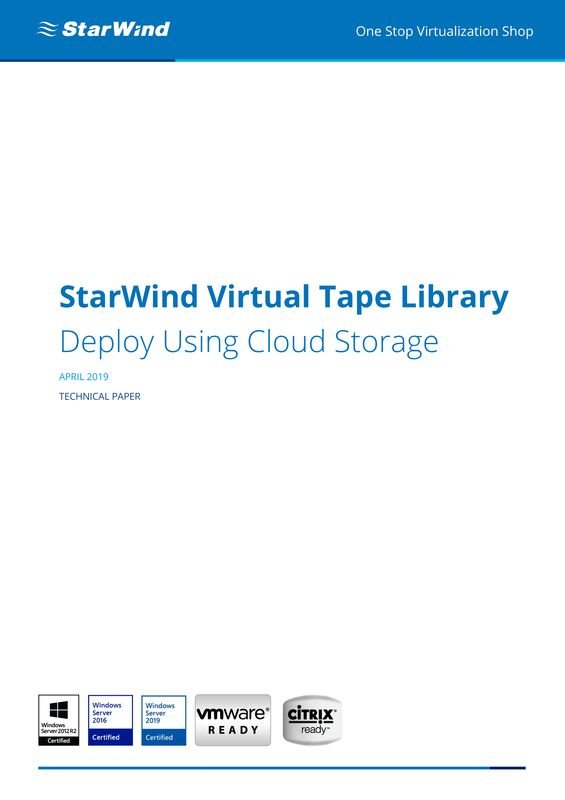 StarWind Virtual Tape Library is an effective alternative to physical tape libraries allowing to keep data in virtual libraries with public cloud and object storage tiers. Find out from this technical paper how to deploy the solution, integrate it with your backup software, and set up cloud replication.